If the latest round of rumors from Apple Insider are to be believed, Apple might introduce a new 3G-enabled iPod touch this Wednesday, which like its iPad 3G offering will include an AT&T micro-SIM for contract free data connectivity. People familiar with Apple’s plans have also heard over the last few months that the company has strongly considered mimicking its iPad offerings by adding a 3G option to some of its iPod touch portable media players, though it is unclear whether the Cupertino-based company has decided to proceed with those plans as part of next week’s announcement. A similar move was made earlier this year when Apple launched the iPad. The company now offers a Wi-Fi-only iPad, in addition to a version with a 3G radio for an additional $130. 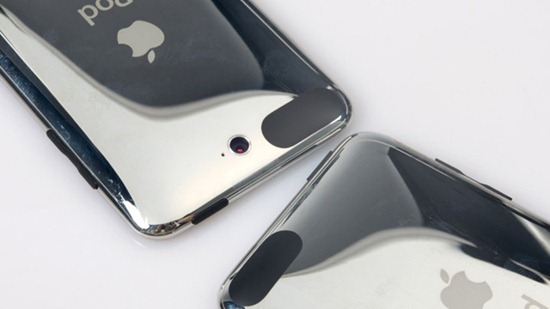 Currently, the iPod touch only offers Wi-Fi and Bluetooth, but 4th-generation prototypes with a SIM tray akin to the iPhone 4’s are said to exist. A 3G-enabled iPod touch sure sounds exciting, and will definitely help drive sales of iPod touch. But at the same time, it could also prove to be a killer for Apple’s flagship product i.e. iPhone. So this in my opinion is something that Apple wont do just yet. But at the minimum, we can expect them to announce the new 4th-gen iPod touch with two cameras: one on the front for FaceTime calls, and the other at the back for HD video recording, along with high-resolution iPhone 4 like Retina Display. Wednesday sure cant come here soon enough! surely an iphone 4 killer. with slimmer figure. wow… that thing gonna be awesome! I don’t see why it would be a killer. It would bite into sales, of course, but I think Apple is smart enough to know that the iPhone can’t maintain the first spot for ever. They’d be smart to diversify. They’ve had the gain with the iPhone, which will not completely disappear simply because it *is* a phone and therefore means you can have it all in one device. Spreading the joy can only help them. Makes me think of the success of Amazon and the Kindle. Amazon has seen that the writing is on the wall for the product, they keep reducing the price to milk more blood from the stone but with the fact that Kindle for iPhone/iPad/Android actually offers a better user experience (short of the eInk thing, which is missed), they’ve tapped into all of the audiences. And they are still selling the things that make them the most money: books. Everyone else has just jumped on too late. If this is true I think it’s yet another sign that Apple really, truly is in the innovator’s seat and we’re all else just following them. For better or for worse. this will kill iphones since you can get all the features of iphones on a cheaper device! By suggesting Apple will use a 3G iTouch to help sales, you are suggesting that Apple will replace the iPhone with an inferior device, not a superior device. Where are these crazy rumors coming from? The iPad 3G is different – there’s no way it can replace a phone! Yey, an iPod touch with a camera and 3G. Once we get 3G in it, it will be magical, and revolutionary! and most likely 2 hundred dollars more. 3G will be limited to AT&T. And whooo you could use some application to make phone calls… LIKE SKYPE! OH MY GOSH THIS IS GOING TO BE AMAZING. * i think it would look really cool if it has an antenna around it! i think apple’s slowly moving towards combining the two iDevice’s (iPhone and iTouch) and or releasing them/it WITHOUT a carrier and you will be able to use ANY carrier who uses a SIM card.